Do you like going outdoors? Do you like taking your family on trips where you can all enjoy nature without the discomfort? Then Coleman is all you need. Coleman Company is based in America which specializes in recreational products for the outdoors. It is a huge company headquartered in Wichita. They also have some facilities in Texas. Currently owned by Newell Brands, Coleman has approximately 3,600 employees who are mostly not in manufacturing positions. At present, most of their manufacturing is in China. Coleman’s production is focused on a variety of equipment used for camping and recreation. Their products range from tents to travel trailers to hot tubs. Each created to make outdoor activities fun and more exciting. Taking care of every detail in recreational activities, they have come up with a variety of products that you can take with you outside, and at any time. It all started in 1901 when a young man had an idea of manufacturing lanterns in Kansas. More than a hundred years later that idea led to the company they have now which manufactures more than just lanterns. 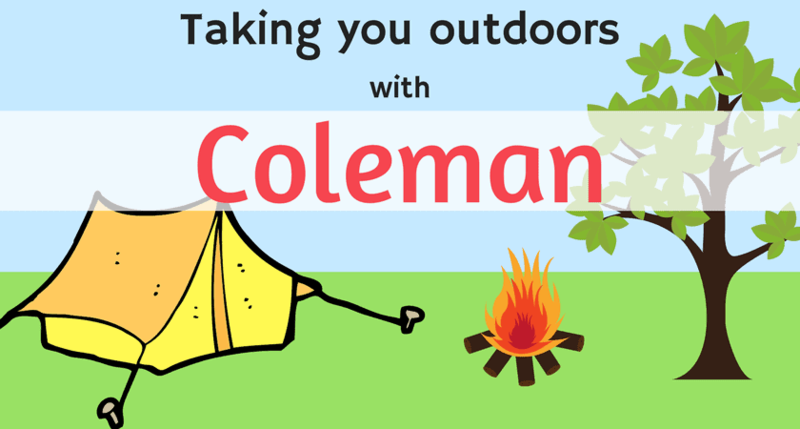 Coleman has been committed to globally encouraging people explore the outdoors. With innovative products they have, one can enjoy the outdoors alone, with friends or even with family. The trust it earned during more than one hundred years has become its inspiration to develop more quality products over the years. One product they have is their inflatable spa – also known as Coleman Hot tub, it can accommodate up to 4 people at one time. What’s so great about it? It’s inflatable so you can basically take it anywhere. All you have to do is inflate it, fill it with water and you’re good to go. It has a system that heats water. So you can relax while also being surrounded by bubble jets. It’s soothing and relaxing so it’s perfect for a day outdoors. With a digitally controlled panel, it’s easy to operate. Its heating system has also an automatic start/stop timer. For quality, the inflated walls are made of high-quality materials that can ensure comfort yet is still durable. With easy and fast set-up using its pump, it wouldn’t take long to actually enjoy the comfort it can give. The Coleman Lay Z Spa is one of the hottest products on the market. Coleman, with its great reputation with regard to their products as well as their customer service, coupled with the quality of construction and affordability of this product, has made it one of the most in-demand products. It measures around 6 feet and 4 inches across. It holds up to 254 gallons of water in its 28-inch depth. What makes it durable is that it is made of two layers of PVC. This has also been reinforced with another layer of polyester mesh inserted in between. Since people actually like leaning on the tub, the vertical beam adds support. The vertical vinyl panels easily support people leaning against the wall. Its exterior is in bright green which is made of synthetic leather. Unfilled, it weighs only as much as 86 pounds. That makes it easy to carry almost anywhere. In addition to being able to sit up to 6 adults, they can do so comfortably. The ground mat is cushioned for added comfort. The ground cloth also protects the tub from debris and dirt outdoors. Its extra layer of cushion also adds comfort. It can produce bubbles due to its air blower. It has 120 bubble jets. It’s also the same air blower that can be used to inflate the tub. They even have a pressure gauge to ensure you inflate the tub at just the right amount of air pressure. Therefore, preventing it from too much air inflation. Since you will be taking the tub outdoors, it also comes with a fitted top cover. That way, you can keep dirt and animals from getting into your tub at night. If you have the water already heated, its cover also has a foil lining. This helps keep the tub to better retain the heat. There are clips around the tub to secure the cover so you wouldn’t have to worry that it might get blown off when you leave it. Additional features of the product include a chemical floater, one filter cartridge, a patch kit and of course an instructional DVD to help owners with the maintenance and also the set-up of the product. It’s inexpensive, comfortable and durable. Overall, it’s one great product that you can use both at home and outdoors.